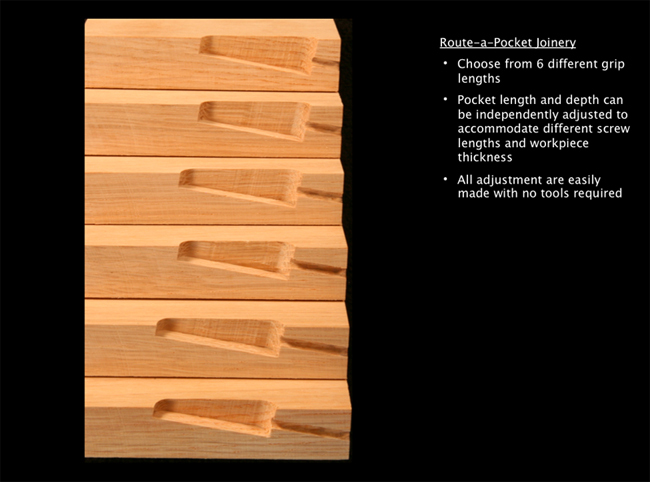 The Route-a-Pocket system is a cost effective way to produce professional quality pocket screw joinery with your plunge router and power drill. 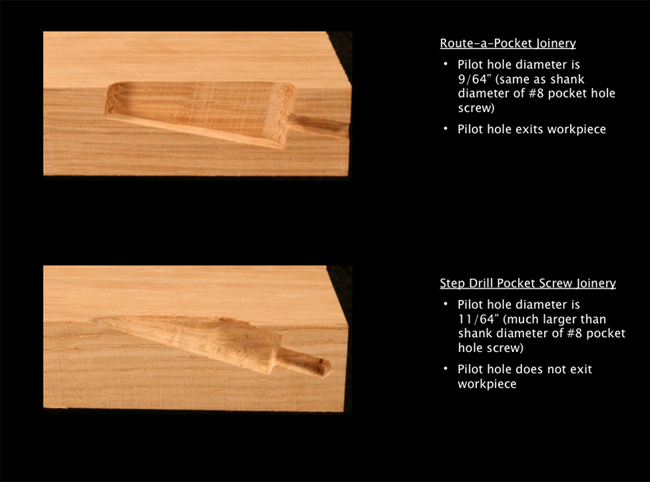 The system uses a carbide tipped router bit to machine a low 10 degree screw pocket and a 9/64" diameter drill bit to produce a properly sized through pilot hole for #7 and #8 pocket hole screws. Because the pocket is machined with a router bit, there are no featheredges and virtually all tear-out is eliminated. 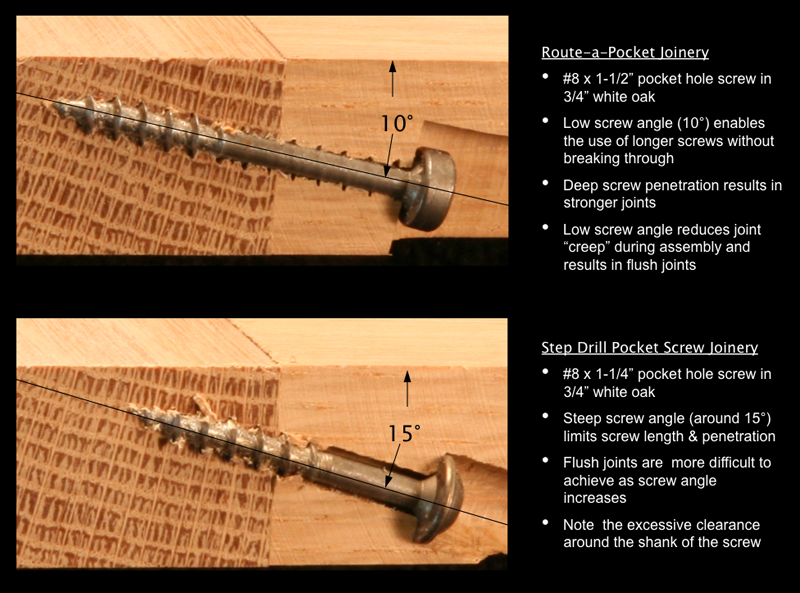 The low 10 degree screw angle helps to maintain flush joints during assemble and enables greater screw penetration. Short pockets are achieved by adjusting the starting plunge position. 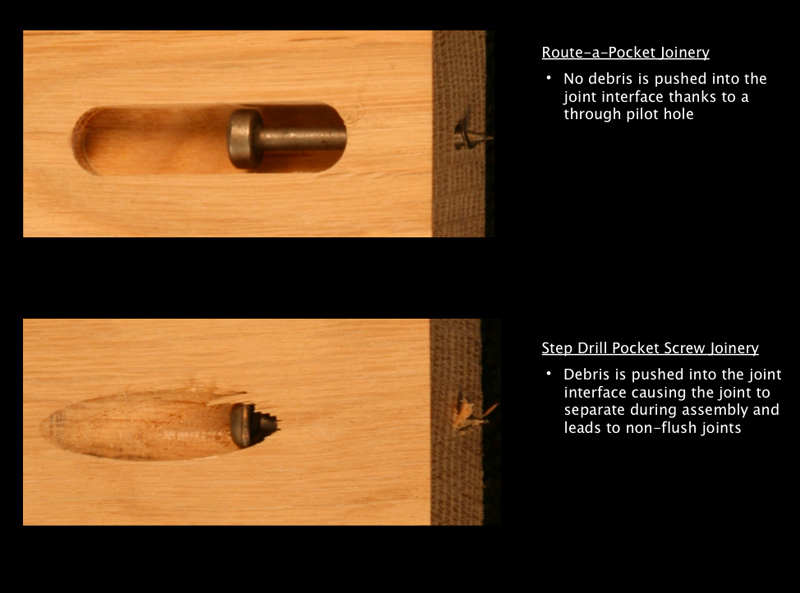 White Oak Tools designed the Route-a-Pocket for the quality minded woodworker who’s looking for the convenience of pocket screw joinery without compromise. 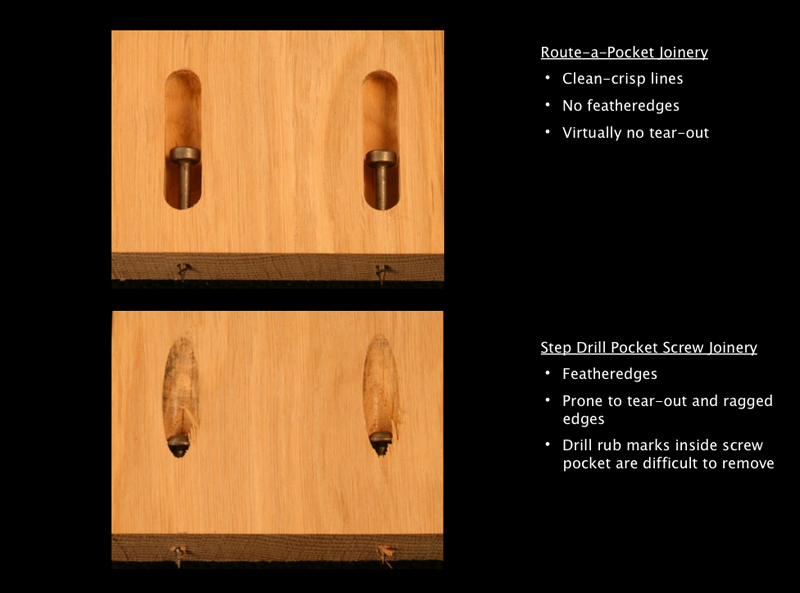 The Route-a-Pocket system is made in the USA and uses precision laser cut components, a hardened steel drill bushing and includes a custom carbide tipped router bit. Designed for adjustability, the Route-a-Pocket accommodates various screw lengths (1" or longer) and workpiece thicknesses (1/2" to 1-1/2"). 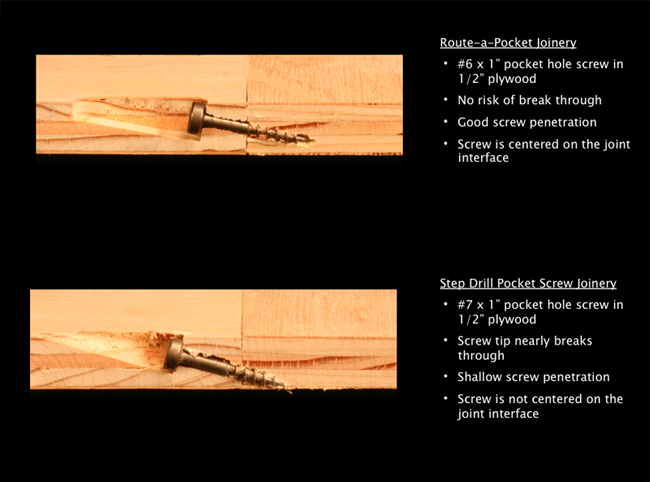 The system also allows you to control the screw grip length and pocket length.